Well, almost! The other day, the girls and I were checking out at Target. You know how there are always coupons that print out, and the cashier hands you the coupons with your receipt? 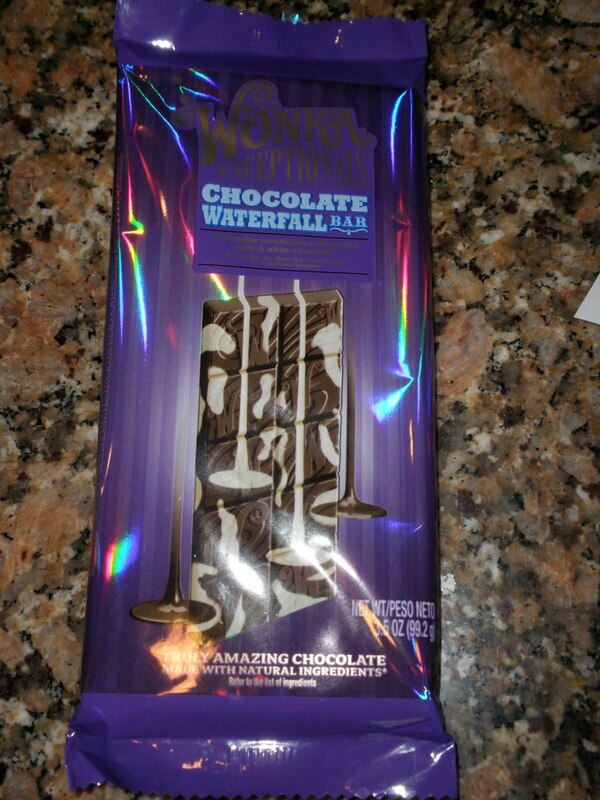 Well, I received a coupon for a FREE 3.5oz Wonka chocolate bar. This made my day! I stuffed the coupon into my purse and couldn’t wait to go back to cash it in. In the meantime, my sweet momma came for a visit. She stayed three glorious days, and we had so much fun relaxing and swimming, then relaxing and swimming. Spending time together. We girls decided to take her to the Target we always go to and get her a salted pretzel and cheese (our favorite!). I thought … for dessert, I’ll go cash in that coupon for the candy bar, and we’ll savor the flavor after our pretzel! So, while the girls and their Gran-Gran were waiting for our pretzels, I ran to grab a candy bar and began the check-out process. 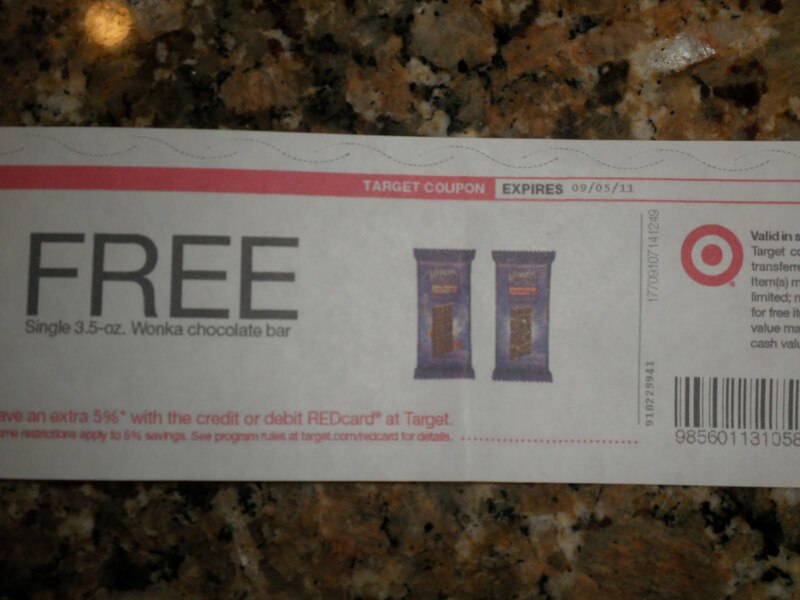 I was in shock when another coupon for a FREE Wonka candy bar printed out again! I went back to the snack bar and gave my report! I just got a free candy bar and a coupon for another one. Giggles and more giggles from two young girls. I was dying inside to find out if I went and checked out another candy bar with this “Free” coupon, would another “Free” candy bar coupon print out? The girls begged me to go find out. So, sheepishly, I did. I went to another cashier because I was so embarrassed! Lo and behold, another “FREE” candy bar coupon printed out. Guys, these candy bars are almost $2 each. So, I have two free candy bars (3.5oz, mind you) and another “FREE” coupon in my hand! I can’t wait to go back to find out what happens next. Either I have totally won the Wonka Golden Ticket … or I am being secretly experimented on! Let’s see how many times a woman will go back to Target to get free candy bars?! My mom said, “This is their way of getting you hooked on their product so you’ll start buying them!” I totally agree. It’s really good!! But, here’s my philosophy on it … I think it’s a sweet blessing from the Lord. Why? Because He can! Because He loves me and because I love Him … I totally won (inherited) the Golden Ticket!